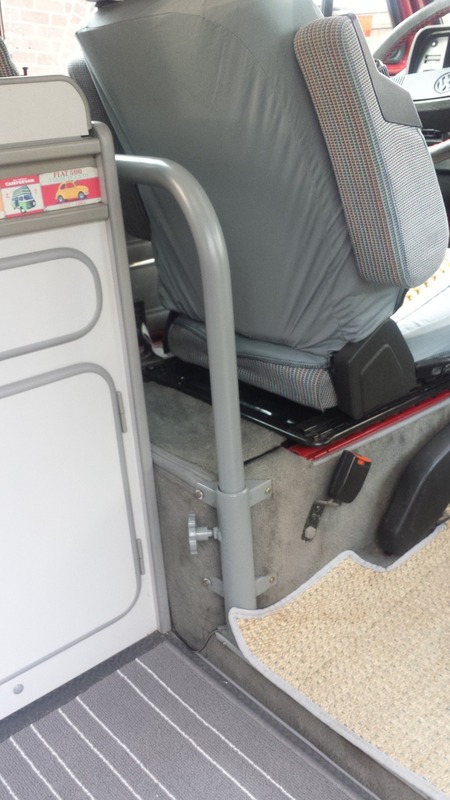 My wife Mandy had seen the front tables fitted in other vans and thought it would be a good addition to ours. I wasn’t convinced initially, but the more we camped the more it seemed like a good idea. We were continually using the rotated front passenger seat to position the TV when in day mode, and then we would drop the cooker cover down and re position it there to elevate so we could watch TV in bed. We also struggled to find a place for pots we had used, but the addition of the front table over the drivers seat has been a massive bonus for both TV and any pots. This has freed up the passenger seat if we want a change of viewpoint in the van. 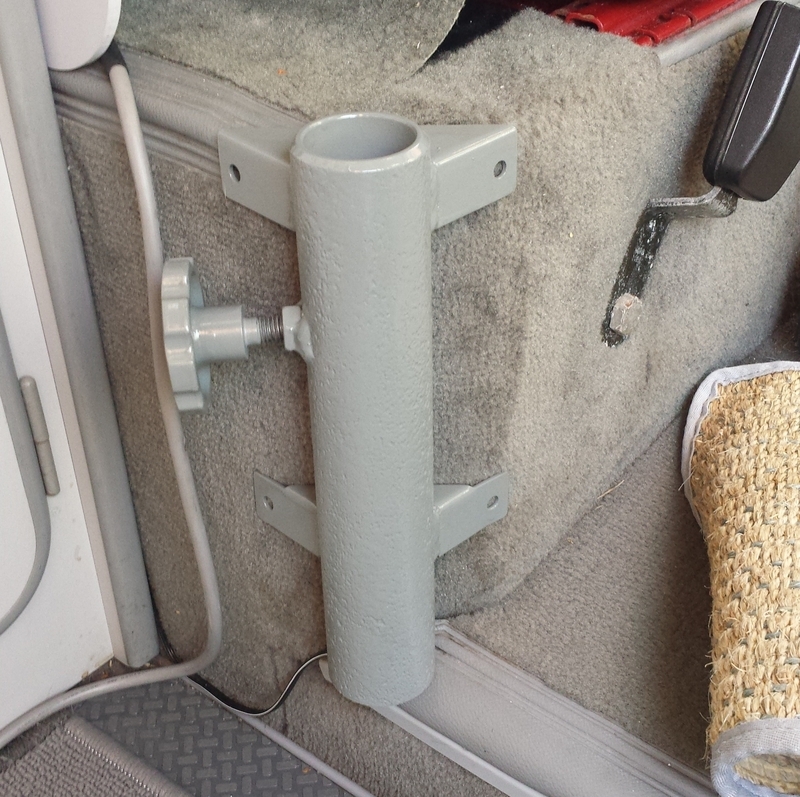 So we bought both the leg and the leg mount from NLAVW website. They seemed to be the best prices. However, both parts were the earlier type Westfalia items. This wasn’t a massive issue to be honest and I decided live with it. The items were galvanized and weren’t that pretty so I choose to color code grey. I already has a tin of etch primer and brought a can of spray paint from Halford. I scoured the car paints and couldn’t find anything that fitted the bill. I found a colour that looked like it could work in a miscellaneous section more for household work. It was called ‘Industrial Grey’ . So i got home and gave it a coat. I couldn’t believe how good a match the paint was against the carpet.